Does Your Real Estate Listing Agent Show Your Home? One question that pops up from time to time on real estate forums relates to the activities of a real estate listing agent. Typically, a frustrated homeowner who's house has been on the market for some time without an offer wants to know why the agent they hired hasn't shown the home. When I see this type of question, the one thing that I know for certain is that the homeowner did not understand the scope of the listing agent's mission. 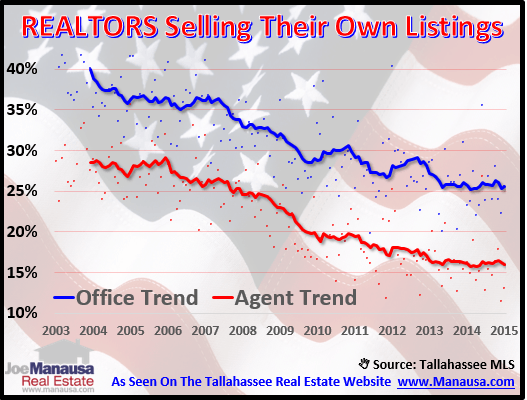 In this article, I have information that shows fewer listing agents are selling their own listings, and moreover, fewer listing companies are selling their own listings, even from their pool of buyer agents. So what does this mean to you if you are planning to sell a home? 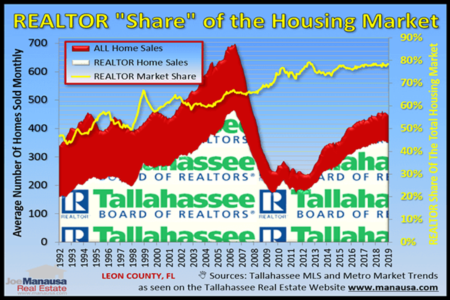 The following real estate graph measures the total number of home sales in Tallahassee that are sold by the listing office (blue) as well as though sold by the listing agent (red). The measurement is merely the percentage of all homes sold either by the company or the agent which procured the listing. Though it might be counter intuitive, these declining trends are good news for home sellers. 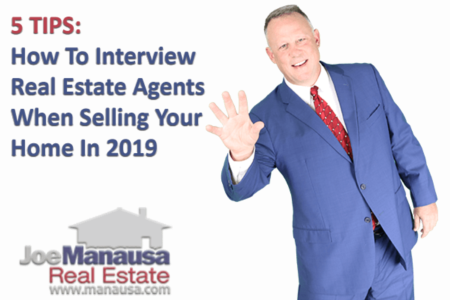 In fact, I would consider this an important question to ask a listing interview before you hire the real estate company and real estate agent that you think can get you top dollar in today's real estate market. What percentage of your own listings do you sell? How about your company? If they try to make it a pocket listing, then they have a better chance of working with both the buyer and you (the seller). What's the big deal? Well, the more buyers that want your home, the higher the price it will fetch (imagine an auction environment). If your listing agent is bringing the only offer, you really have to wonder how well the home was exposed. So the next time you have your home on the market and it is not selling, call your listing agent. Rather than ask her/him why they haven't shown the home, ask them why other agents are not bringing in offers. You'll solve the problem much faster this way.